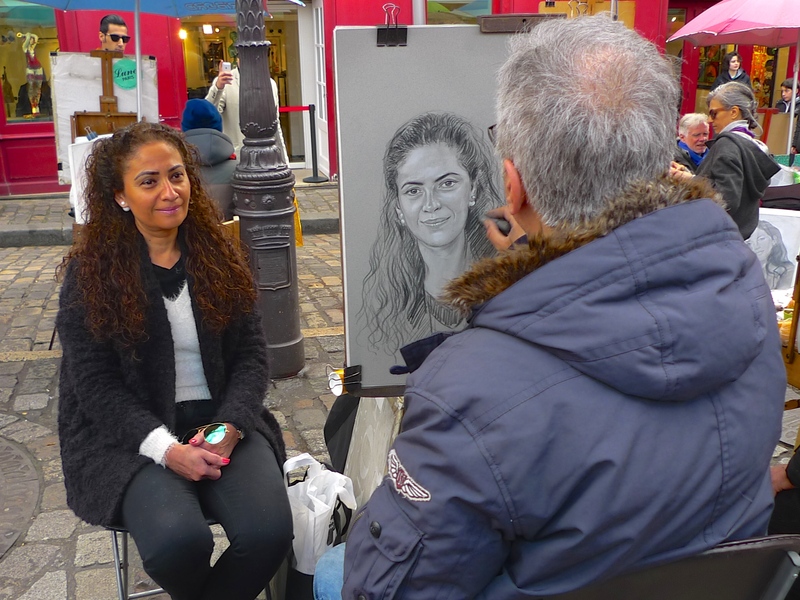 IT WAS ORIGINALLY a very ordinary square in Montmartre, a rural village dotted with vineyards and windmills but today, Place du Tertre is one of the most visited squares in Paris. Standing in the shadow of the Basilique du Sacré-Cœur the square is filled with cafés, tourists, artists, street performers and buskers. 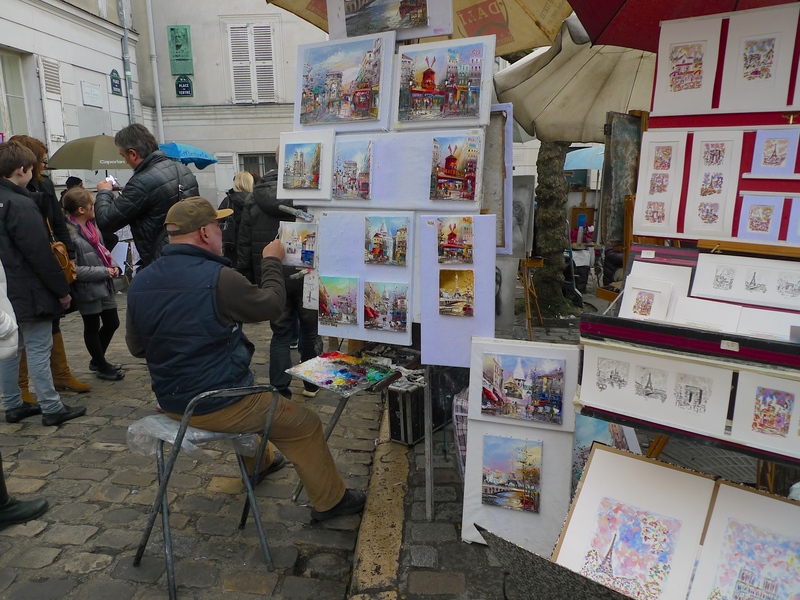 Place du Tertre dates back to 1635 when it occupied land owned by the Abbaye de Montmartre, a Benedictine abbey founded in the 12th century. 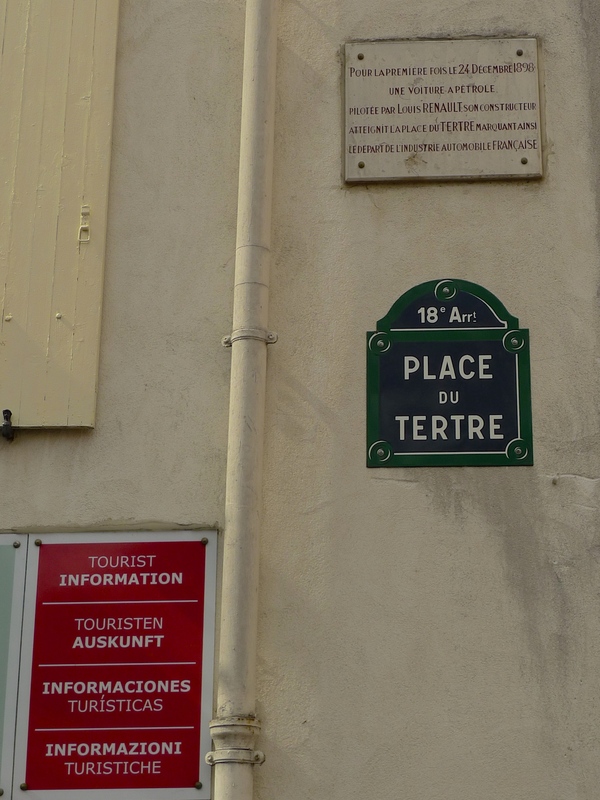 It stands on top of a hill, the Butte Montmartre, and it is from its location that the square derives its name; tertre is the French word for hillock. As its population increased, Montmartre became an independent commune in 1790 and then in 1860, along with a clutch of other surrounding communes, it was absorbed into the City of Paris. 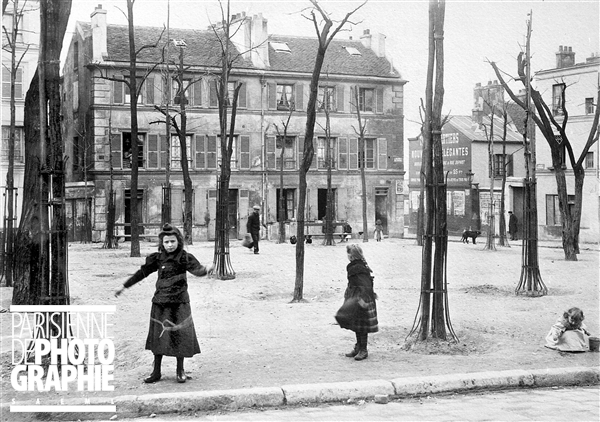 Although Montmartre is a popular tourist magnet today, it wasn’t always so. The commune was partially destroyed at the end of March, 1814 in the Battle of Paris when the French surrendered to the coalition forces of Russia, Austria and Prussia forcing the Emperor Napoleon to abdicate and to go into exile. 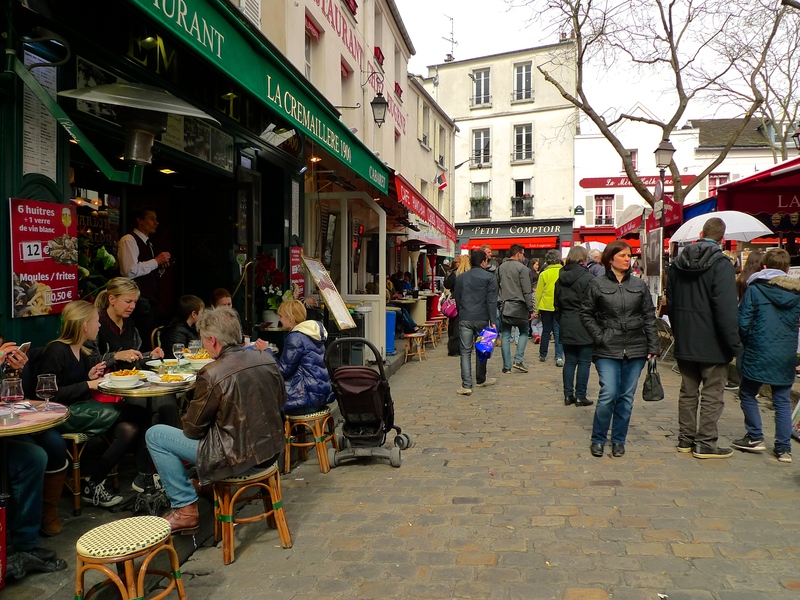 During this time Russian Cossack soldiers set up camp on the hill and, so the story goes, it was at N°6 Place du Tertre, in the café La Mère Catherine, that the Cossacks first introduced the term bistro (Russian for ‘quickly’) into the French lexicon. Montmartre suffered again during the Revolution of 1848 when the insurgents hid in the underground galleries of the gypsum mines and in the Paris Commune of 1870-71 when it became the cradle of the insurrection. During the Paris Commune, the Communards seized all the canons used for the defence of Paris and gathered them on Place du Tertre. By the end of the 19th century the character of Montmartre was changing. The extraction of gypsum in the many quarries came to an end, new buildings slowly replaced the vineyards and orchards and some of the windmills were transformed into cabarets. A thriving bohemian culture driven by its critique of decadent society attracted artists, intellectuals and writers to Montmartre where they frequented its vibrant halls of entertainment and celebrated them in their paintings, literature, and poems. 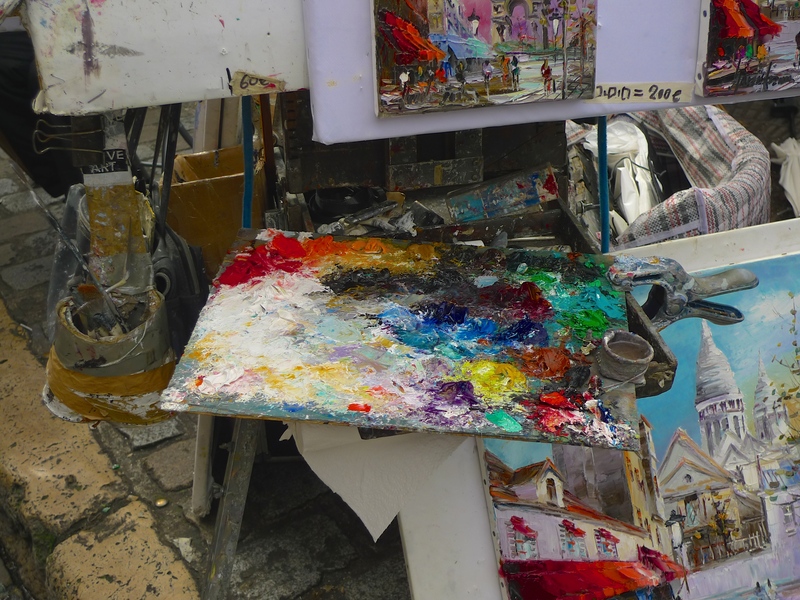 Vincent van Gough, Edgar Degas, Auguste Renoir and Henri de Toulouse-Lautrec were just some of the artists who took up residence in the district. Montmartre reached its artistic zenith around the time of the Exposition Universelle of 1900 by which time it boasted over forty venues comprising cabarets, café-concerts, dance halls, music halls, theatres, and circuses. But it wasn’t to last. The area’s underground bohemian culture had become a part of mainstream bourgeois entertainment and artists like Toulouse-Lautrec and his avant-garde contemporaries lost interest in Montmartre’s nightlife and sought their modern subjects elsewhere. 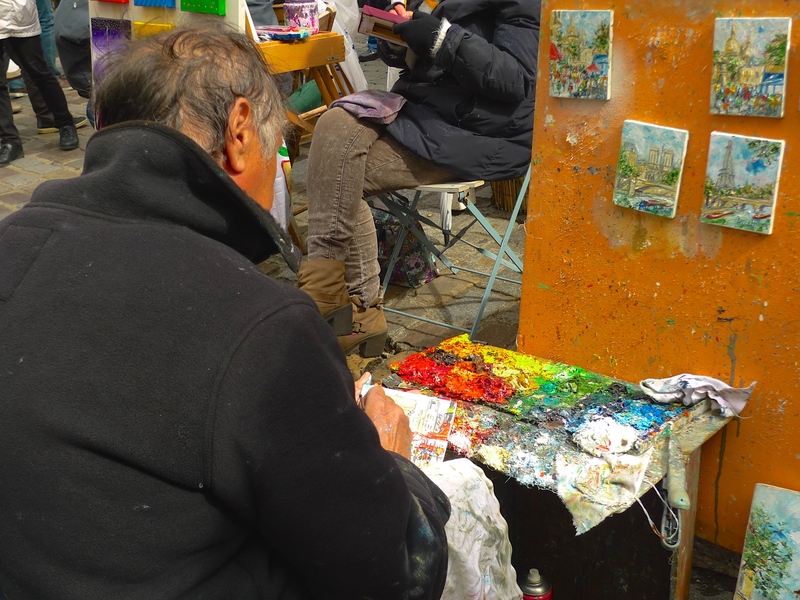 Artists though are still to be found in Place du Tertre, some with regular pitches in the square and others, more itinerant, walking around capturing the willing, and sometimes the unsuspecting tourists. Over the years many artists have migrated to Montmartre but one of the few famous ones to have been born there was Maurice Utrillo (1883-1955). Utrillo specialised in painting cityscapes and it was with him in mind that I recorded my soundwalk; my sonic equivalent of an Utrillo cityscape. 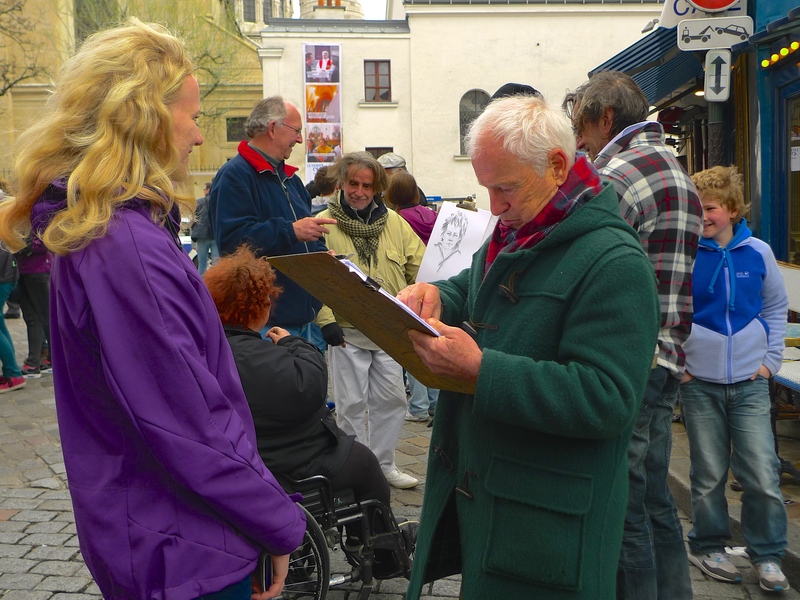 My soundwalk around Place du Tertre captures some of its contemporary atmosphere but, alas, it doesn’t capture the moment on Christmas Eve 1898, when Louis Renault’s first car was driven up the Butte Montmartre to the Place du Tertre, marking the advent of the French automobile industry. The plaque to mark the arrival of Louis Renault’s first motorcar in Place du Tertre. 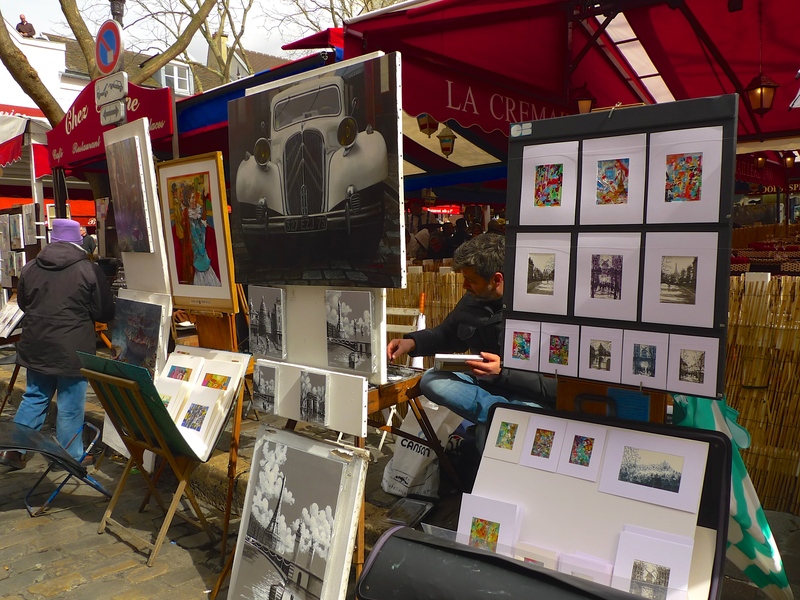 Whilst its artists and entertainers might not be quite as illustrious as in the past, Place du Tertre continues to be at the heart of the vibrant community that is Montmartre.